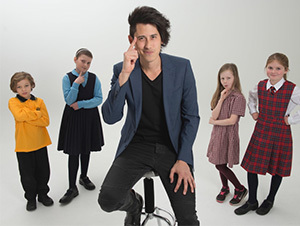 The search for Australia’s brightest young inventors is officially underway, as Origin’s littleBIGidea competition launches for its fifth year, with engineer, inventor and futurist, Dr Jordan Nugyen returning as head judge and ambassador. The littleBIGidea competition invites students between grades three to eight to show off their creativity and inventive spirit for the chance to win a trip to the NASA Kennedy Space Centre, along with the support and recognition to help bring their inventions to life. To enter the competition, students need to visit the littleBIGidea website and describe their invention in 200 words or less. They can also include an illustration or short video to support their submission. Entries close on Friday 7 September. Past national winners of the competition have included Bridgette Veneris (2016) who invented a Band-Aid dispenser, and William Grame (2015) who created a Blood Test Strip disposal unit to manage used strips which are often used by Type 1 diabetics. Ngyuen said, “This competition is all about fostering creativity and problem solving by encouraging young inventors to tackle real-world problems with curiosity. Nine of the top 12 finalists will each receive $1000 towards education within their chosen field, and a trip to Melbourne for a design workshop hosted by Engineers Without Borders. From these finalists, three overall winners will receive an all-expenses paid trip to the USA.